Brief Synopsis – Continuing adventures of two undercover cops who must now go undercover in college to stop a new drug from being distributed. My Take on it – Sequels in this genre are statistically terrible because they are usually just made in order to make more money. This movie uses that idea to its advantage and constantly continues to parody the idea. They even make fun of the fact that the plot is almost identical to the original. I can’t say that this is more fun than the first one, but it’s pretty close to being its equal. It was nice to watch them back to back. 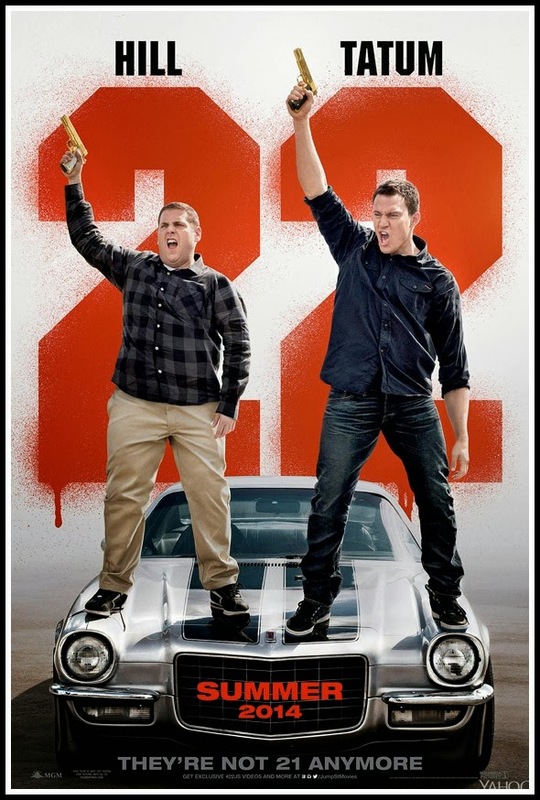 Channing Tatum and Jonah Hill’s chemistry continues here and I can’t wait to see the next installment. Bottom Line – Very fun sequel that doesn’t hesitate to make fun of itself and the fact that it’s a sequel. Great continued chemistry between Hill and Tatum Looking forward to the next installment. Recommended! I’m so glad you liked it as well!! Guess u were right. Tnx Nat! I’m with you. I liked this one a lot, but I don’t know if I liked it quite as much as the first. Still, very, very funny and so gloriously tongue-in-cheek. Great review!